Srebrenica massacre, slaying of more than 7,000 Bosniak (Bosnian Muslim) boys and men, perpetrated by Bosnian Serb forces in Srebrenica, a town in eastern Bosnia and Herzegovina, in July 1995. In addition to the killings, more than 20,000 civilians were expelled from the area—a process known as ethnic cleansing. The massacre, which was the worst episode of mass murder within Europe since World War II, helped galvanize the West to press for a cease-fire that ended three years of warfare on Bosnia’s territory (see Bosnian conflict). However, it left deep emotional scars on survivors and created enduring obstacles to political reconciliation among Bosnia’s ethnic groups. 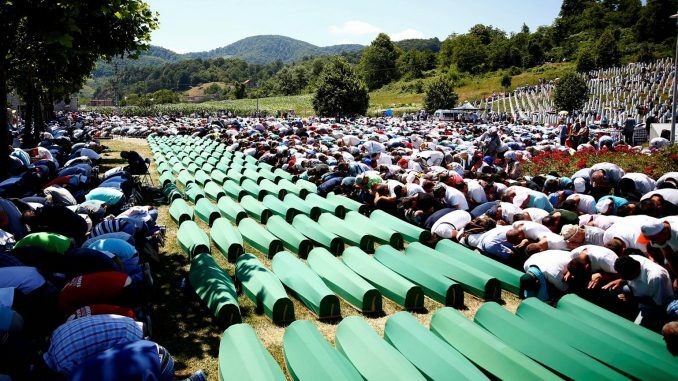 The International Criminal Tribunal for the Former Yugoslavia—established before the massacre to scrutinize ongoing military conduct—concluded that the killings at Srebrenica, compounded by the mass expulsion of Bosniak civilians, amounted to genocide. It pinned principal responsibility on senior officers in the Bosnian Serb army. But the United Nations (UN) and its Western supporters also accepted a portion of the blame for having failed to protect the Bosniak men, women, and children in Srebrenica, which in 1993 the UN Security Council had formally designated a “safe area.” In a critical internal review in 1999, UN Secretary-General Kofi Annan wrote, “Through error, misjudgment and an inability to recognize the scope of the evil confronting us, we failed to do our part to help save the people of Srebrenica from the [Bosnian] Serb campaign of mass murder.” Although Serbia was not legally implicated in the massacre, in 2010 the Serbian National Assembly narrowly passed a resolution that apologized for having failed to prevent the killings. Building housing the International Criminal Tribunal for the Former Yugoslavia, The Hague.